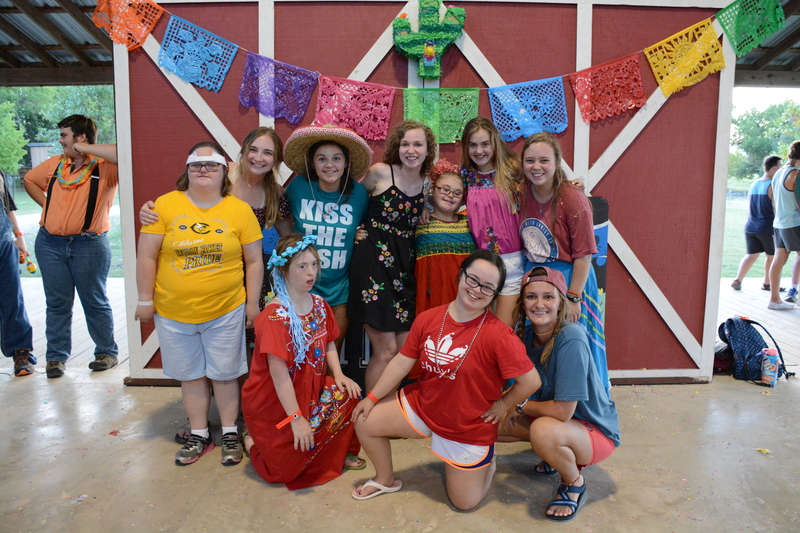 Friend's Week at Deer Creek Camp is a wonderful opportunity for children and adults with special needs to attend a Christian Special Needs Summer Camp in Texas. Friend's Week is a very special part of our ministry, touching the lives of many families every year. 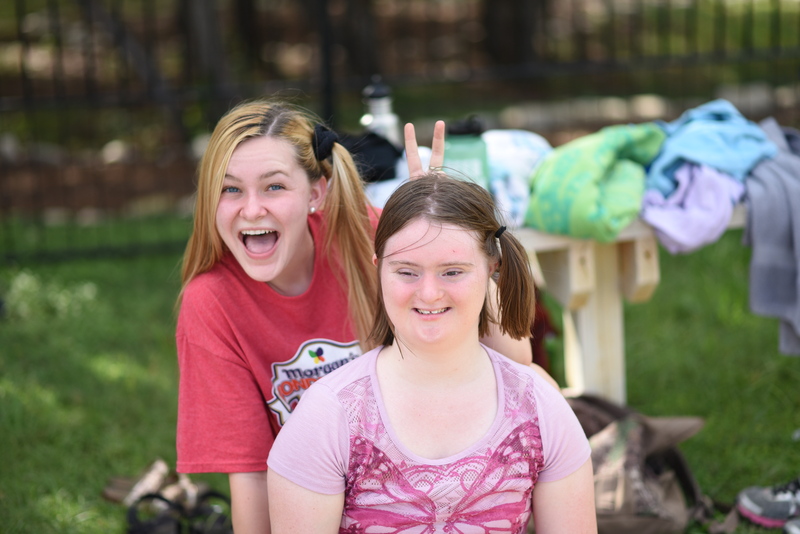 We rely on incredible volunteers who serve as CIA's (Christians in Action) to provide a 1:1 camper to "buddy" ratio, giving every camper the love that they need and deserve. 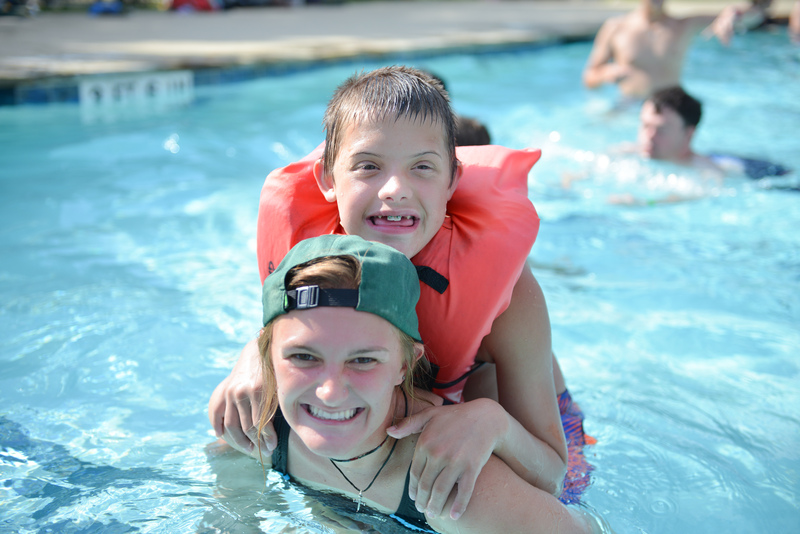 "Every year Friend's Week offers immense growth for both CIA's and Campers alike! The Lord is working in this place and it is evident through the dedication of the CIA's and the smiles of the campers. Time and time again friends have asked what my favorite part of summer was and I'm always compelled to tell the stories of Friend's Week with joy and enthusiasm." The Friend's week rate is $995 per camper. Note that a $200 non-transferable and non-refundable deposit is due at the time of registration. This week of camp is filled with fun activities that enable each camper to step out of their comfort zone, make new friends, and grow in their faith. Some of these include swimming in the pool, performing in our annual Talent Show, singing songs at Team Meeting, playing sports, doing arts and crafts, and so much more. Every summer we partner with churches and individuals who volunteer alongside our counselors as Christians In Action (CIA). Our CIA’s and Deer Creek Camp Counselors will be trained on August 11, 2019. Tuition is $225, which helps to offset costs. Interested CIA's are asked to register below. Registered Friend's Week families will receive information packets in the spring with packing lists, medical forms, closing ceremony instructions, detailed maps, and theme night information. Our Medical staff is comprised of a team of loving volunteers that have been with us from the very beginning. They are all medical professionals with many years of experience working with campers with special needs. Any medicine your child takes regularly is dispensed by these professionals daily. Summer temperatures are about 5 degrees cooler than San Antonio. Special consideration is given to hydrate campers and to keep plenty of sunscreen and water available during the camp day. Call our office at (830) 589-7123 with any questions you may have!